It is well-known fact that the infrastructure and transaction costs are quite high for the undertakings who operates in the broadband internet access services market. Thus, it is crystal clear that the recent regulations of the Information and Communication Technologies Authority (“ICTA”) do not help to change this fact by imposing heavy legislative burden to the market players. Approximately one year ago, Vodafone applied to the Turkish Competition Authority (“TCA”) to request an exemption for the agreement which stipulates network sharing on the wholesale fiber data stream access and support services with Superonline. After a yearlong examination, the TCA decided to grant the individual exemption to the agreement. 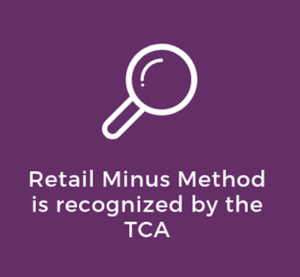 But most importantly, the retail minus method is recognized by the TCA for the first time. Before digging into the rationale behind the acquired individual exemption, it is worth to mention the relevant product market and the agreement in question. retail fixed broadband internet access services market. It should be noted that the parties of the agreement are competitors both in the wholesale and retail market. Both sides have its own fiber infrastructure and both of them offer fixed broadband internet services to end users. More specifically, Superonline, who is the affiliate company of Turkcell – the biggest mobile operator-, has the second largest fiber network. On the other hand, Vodafone is more active in mobile network and however its network infrastructure is not wide-spread. Therefore, the cooperation should be taken into under consideration in line with the horizontal relationship between the competitors. In addition, as the agreement stipulates the sharing of the infrastructure which is an essential facility for the activities in the retail market, vertical implications come into question as well. As the Türk Telekom is incumbent operator and it has the largest fiber network in Turkey with a 79% of market share in fiber infrastructure prevalence, parties of the agreement require access to the infrastructure of Türk Telekom in order to enlarge their fiber network. Therefore, the main purpose of the agreement is to enhance the service network of the parties by sharing their fiber infrastructure and cooperation in the new infrastructure construction. In this respect, the performance of the agreement requires continuous cooperation and information exchange between the parties. What was the rationale behind the decision? It is given that Superonline can only use 60% of its fiber infrastructure capacity. With this respect, the TCA simply noted that the cooperation allows the parties to access higher capacity utilization rates. Therefore, infrastructure sharing between Vodafone and Superonline will increase the power of the competitors against Türk Telekom and strengthen the competition in the market. In addition, it may diversify the preferences of the potential subscribers. Thus, TCA also stated that the parties will have 16% cost advantage compared to potential cooperation with the Turk Telekom. Another positive implication of the cooperation is the investment incentive premium. Accordingly, the parties will entitle to a premium at the rates specified by the number of subscribers and the number of households ready for sale. The TCA stated that it will foster the motivation of the parties to invest in the infrastructure. On the other hand, the TCA emphasized that the cooperation in the support services will contribute the quality standard of the services offered to consumers in Turkey. Thus, it will allow the consumers to choose between different service providers when they are not satisfied with the received services. In its analysis, the TCA noted that parties do not stipulate any exclusivity or non-competition clause in the agreement. Accordingly, parties can solely provide services in the retail market. In this respect, TCA considered that the agreement does not intend to anti-competitive cooperation and market sharing between the parties. Therefore, it is concluded that the agreement does not exceed its purpose. What about the common infrastructure company? In addition, the agreement includes the establishment of a common infrastructure company in order to make the new infrastructure investments in one hand. As the contemplated company has not been established yet, the TCA decided that the related provision is not evaluable at this stage. In this respect, Vodafone claimed that it is inevitable to cause a correlation between the wholesale and retail tariffs in order to establish commercially viable cooperation. The Vodafone also demonstrated that the cooperation will help the parties to prevent from the potential exclusionary behaviors of the Turk Telekom who is in the dominant position in the market. Lastly, the TCA decided to decrease the duration of the contract to the 3 years as it considered that the developments in the fiber infrastructure set out in Article 5 of the Competition Act.